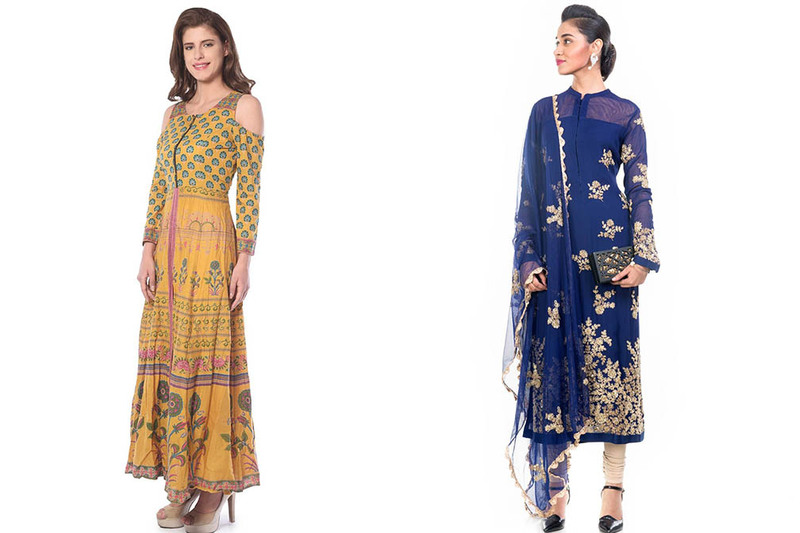 Festive Outfits for New Mommies! Recently I came across the cutest lace white top ever and it was a thrift find as well!!!!! It has a sweetheart neckline satin bodice and a high neck net layover on it, complete with pearls & lace details!!!!! But NO, I did not buy it... Reason - it had no bo*b access! Right now, as a breastfeeding momma, that's something I look out for in every outfit. If you've been a regular reader of my blog, you may know that I started redoing my wardrobe since the last several months, to make it more nursing friendly. The most elegant, contemporary, festive outfit that's nursing friendly ever!!! This is by Prevasu. 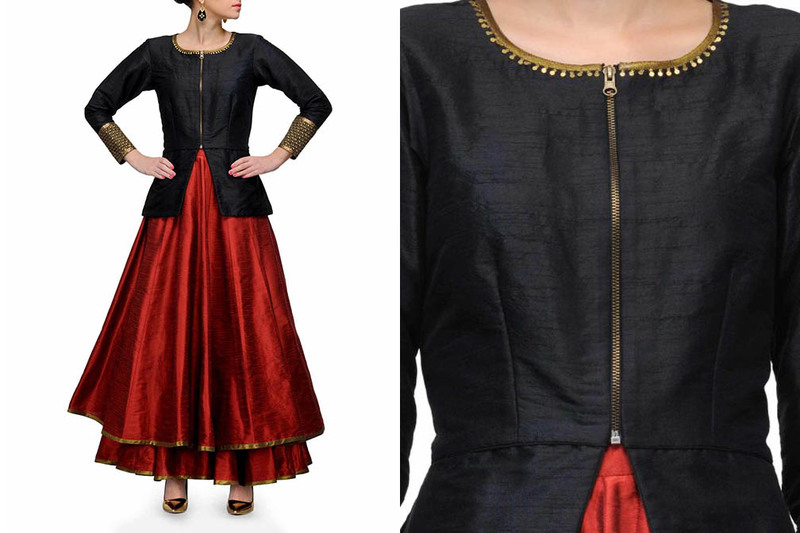 Black and Red with a hint of Gold detailing topped perfectly with the golden metal zipper! I love the minimalism of this outfit. The double layered skirt and the golden cuff detailing are perfect. The entire front doesn't have any sequin detail like the cuff which is an icing on the cake, coz babies do get a bit frustrated when mommy's outfit irritates their skin! Would you dare to wear black for weddings? There is an unwritten law that prohibits us from wearing black to weddings! But then, black is so gorgeous, esp when topped with multiple colors, its contrast is so perfect! 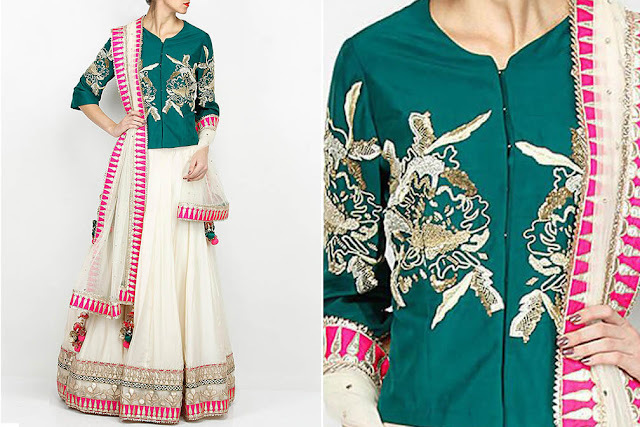 This is also by Prevasu (I think I'm falling in love with this brand!). 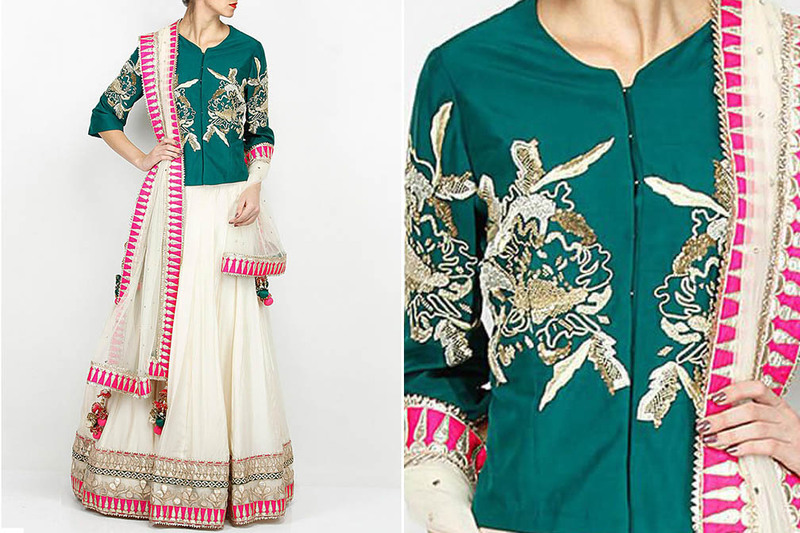 Isn't the multicolored detail metallic thread embroidery gorgeous? In the midst of it, is the front open metal zipper! Best part - its a crop top and that's the best way to show off your recent tiger stripes (some illiterate people call it stretch marks and they're best left ignored!). Not a fan of something black? Let's do something white! How many times have you combined Forest Green with Hot Pink? I didn't realize that the combo would be so stunning together! The white balances the 2 rather strong colors. 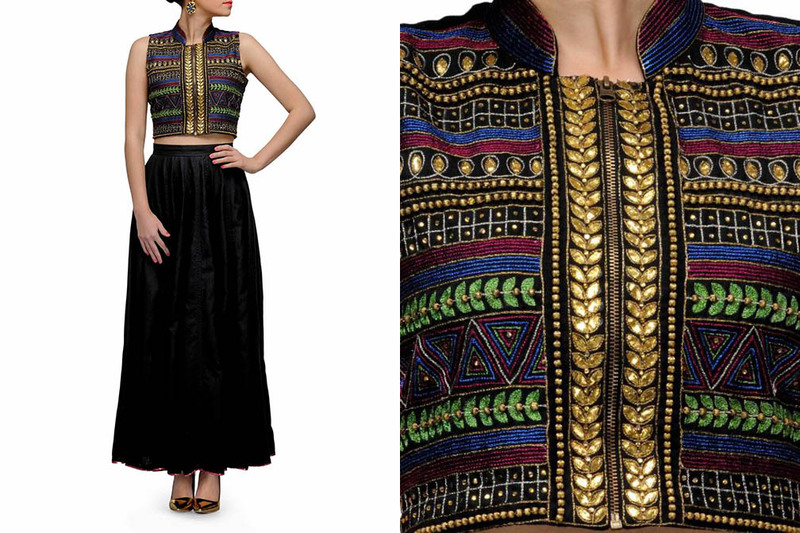 Oh yes, the zari embroidered top is fully front open and bo*b accessible! But then, not always you'd want to wear something of this grandeur. Esp., when the wedding is of an acquaintance and not a relative or close friend, gotta keep it a bit simpler. Here's the perfect printed Anarkali with cold shoulders & front zipper and a navy blue kurta with golden embroidery. Front hooks & zipper make both very much nursing friendly. Wow! These outfits are so stylish and beautiful.. NIce leh..... Perfectly fit for breastfeeding mummies.. These outfits are all really lovely. You can be stylish and a new mum too for sure! I love all those outfits. They are definitely impressive. Here in our country, white is preferred than black. We also have a superstitious belief here that wearing black is not a good sign for a healthy marriage.